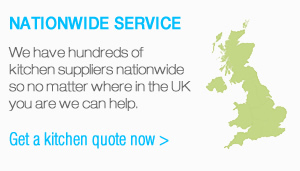 UK Kitchens Direct - Compare quotes for your new fitted kitchen from multiple suppliers to get the best deal! 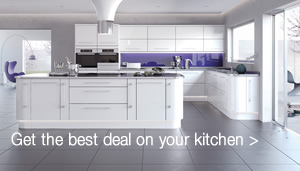 We have a large network of UK kitchen suppliers on hand ready to offer the best deals no matter what you are looking for from supply only trade kitchens to new fully fitted kitchens boasting a huge selection of designs and styles. We also have a range of solid stone worktop manufacturers and producers who offer best quality quartz stone and granite worktops to fit all budgets, no matter what you are looking for if it is to do with a kitchen renovation then we can help. Boiler service? we have that covered too, simply get a quote from multiple suppliers by filling out one form. We offer a fast and easy to use service that puts people looking for fitted kitchens in touch with people that can deliver them. Go direct to multiple kitchen manufacturers and suppliers, we are not middle men, we pass your requirements direct to the kitchen. If you need inspiration why not take a look at the online kitchen planner. View the Kitchen Designs to give you inspiration and kitchen ideas. 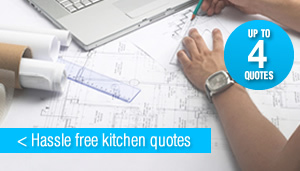 Let our partners help you choose a style and design for your kitchen when you get a quote.